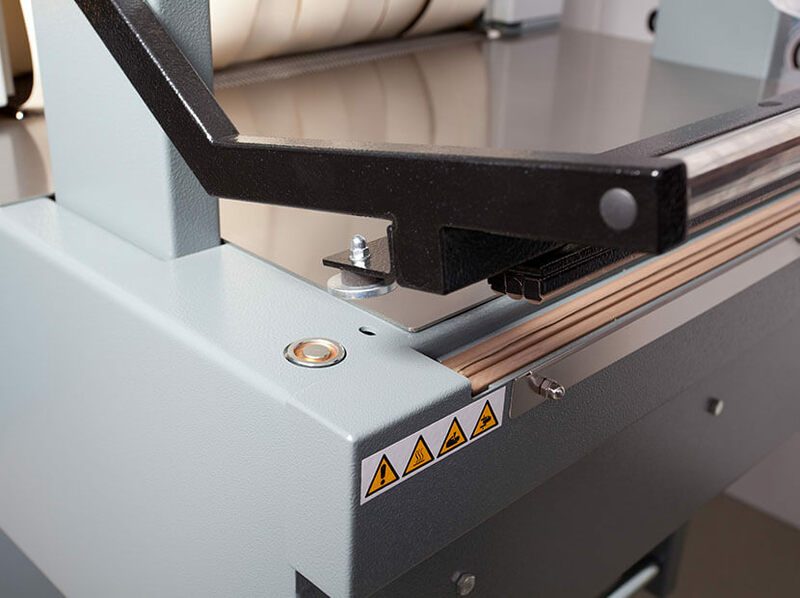 The AirLess line was developed as a cost efficient alternative to pneumatic semi automatic sleeve wrappers. It operates without pneumatic components and needs no external air compressor. This keeps costs of installation and operation at low level. 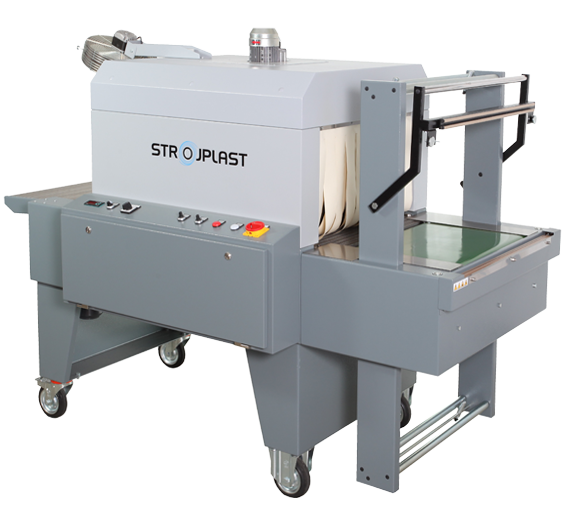 Packaging speed with the AirLess sleeve wrappers is comparable with speeds of pneumatic semi-automatic sleeve wrappers: best equipped models can package up to 8 packs per minute. 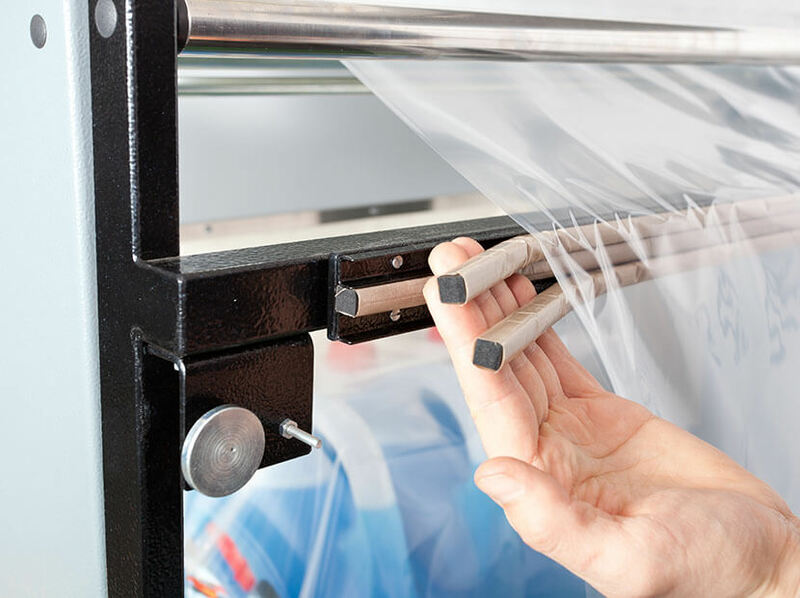 An important advantage over pneumatic semi-automatic sleeve wrappers is that no installation of compressed air system is needed – for initial savings at installation and a flexibility to place a machine within production location. It also secures noticeably quieter and cheaper operation. 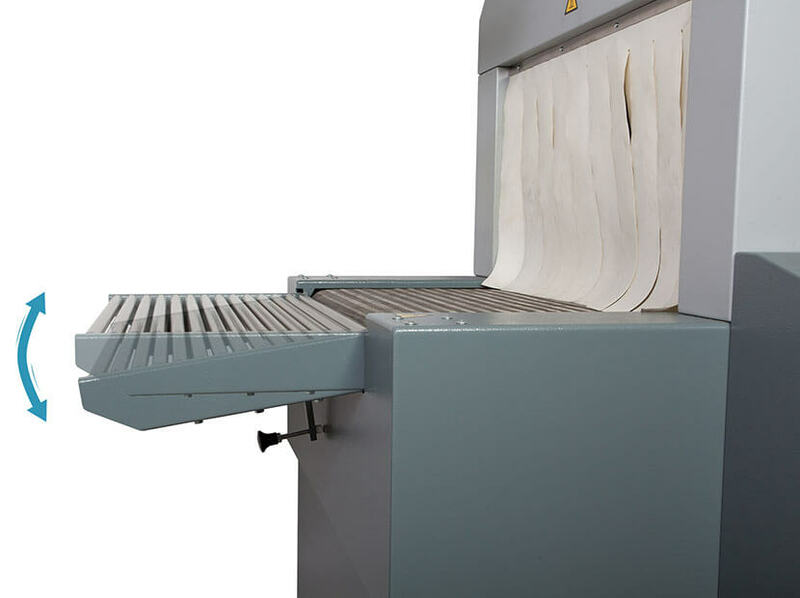 Enables quick change of format of packaged products. It also performs well at packaging products of irregular shape or bundling products of different shapes into one package. 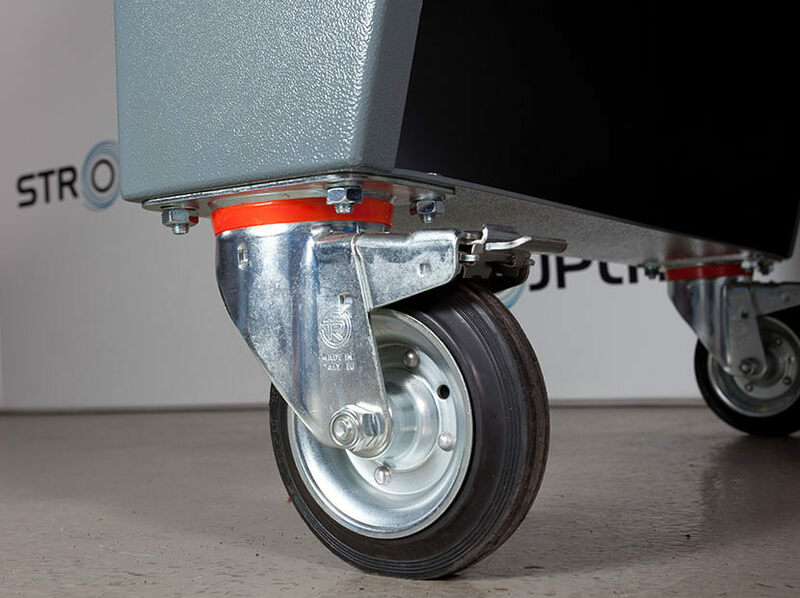 Compact castors for convenient placing of the machine within production location. Easy replacement of sealing wire reduces time and costs of regular maintenance. 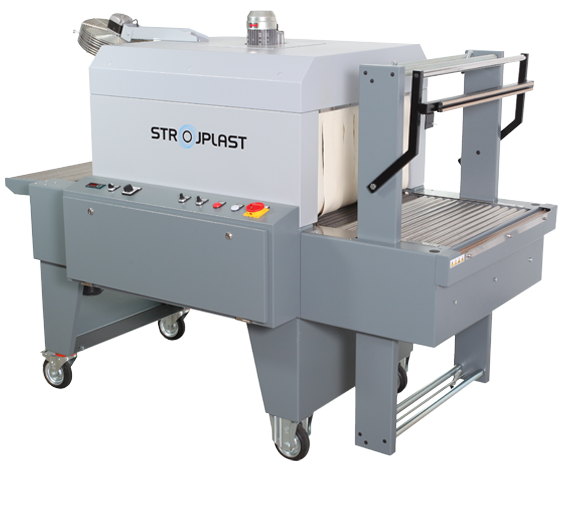 Adjustable angle of the exit rotary table enables packaged products to be transferred exactly on the desired height for further handling. Conveyor belt speed is inverter controlled which enables precise stage-less speed adjustment. Sturdiness and high quality made allows for use in demanding industrial environments. Digitally controlled temperature of the sealing bar enables repeated quality of the seal. High quality sealing unit – PTFE-coated sealing support is designed to last three times longer which reduces costs of regular maintenance. Shrink tunnel with adjustable flaps for maximum control of air currents. Digital control of temperature inside the tunnel; together these two systems enable energy efficient packaging even when packaging products of irregular shapes. Only standard components are built-in which enables easy and low-cost maintenance throughout the life-cycle of the machine. Option of machine modification according to the demands of a particular production/packaging process, product size or shape etc. 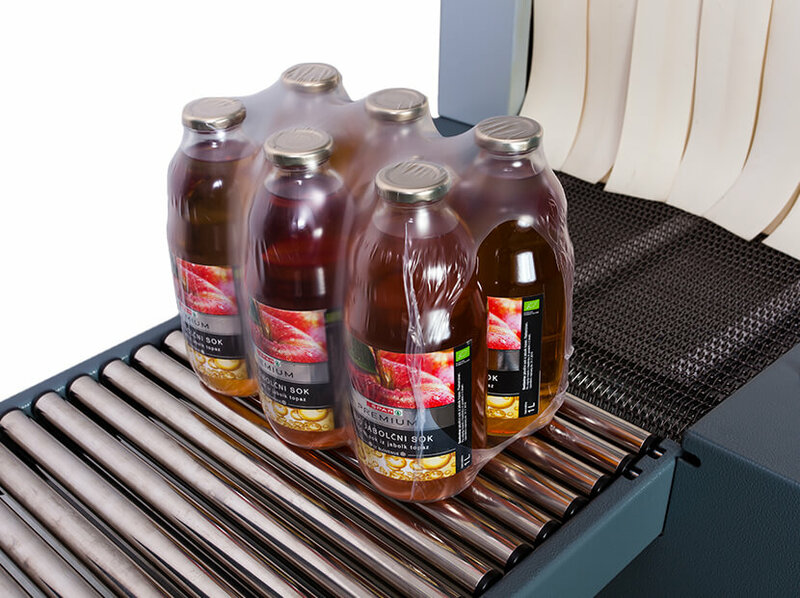 Lines AirLess Clasic and AirLess Plus can be equipped with electro-magnet assisted holders of the sealing bar to facilitate and speed up process of packaging. 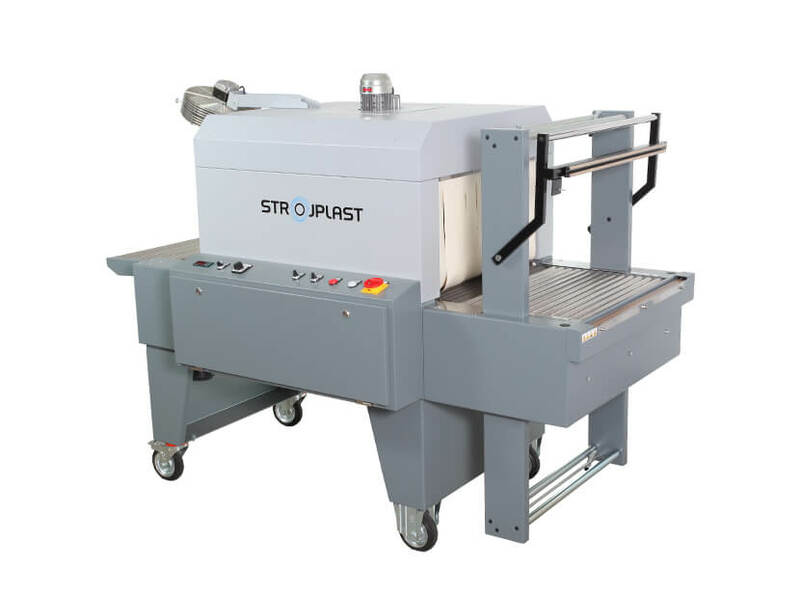 The line has three subdivisions according to the level of equipment that facilitates packaging and handling with the machine as well as increases packaging speed. 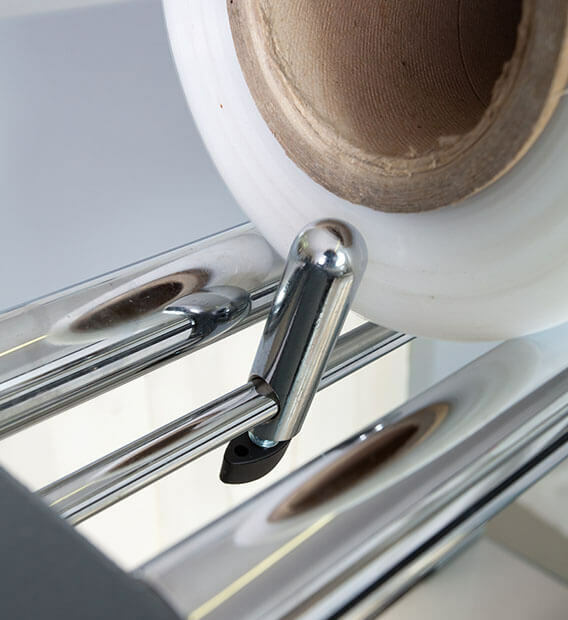 The AirLess Classic is a cost effective line of sleeve wrappers. It is equipped with flat feeding table and is especially suitable for efficient packaging of bottles, cans, glasses, products of irregular shapes etc. AirLess Plus line is equipped with a feeding roller table which facilitates transport of the bundle into shrink tunnel. It is convenient for packaging heavier products products: parquet, wooden products, boxes etc. Manual feeding of heavier products can become a physical challenge after a while. 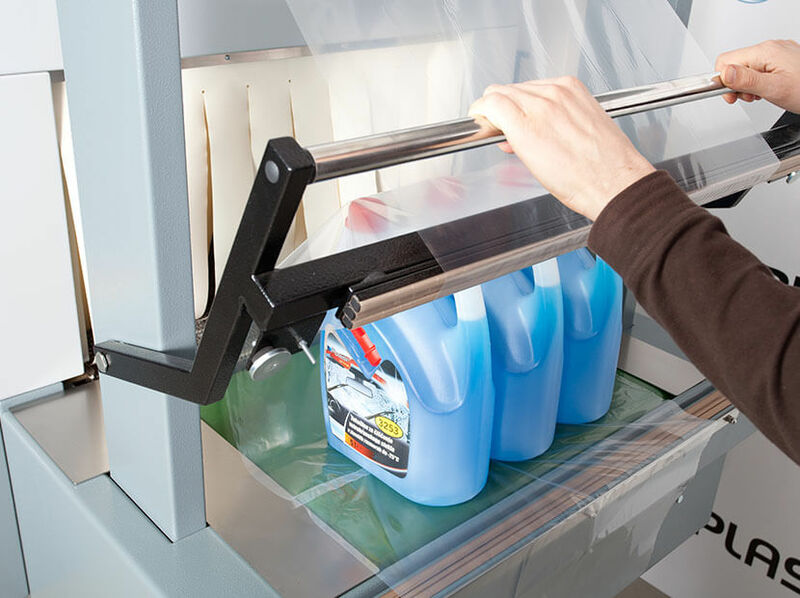 With AirLess Plus sleeve wrappers working table is constructed to easily feed products one after another, never one over the other. This is a significant advantage over pneumatic semi-automatic sleeve wrappers. 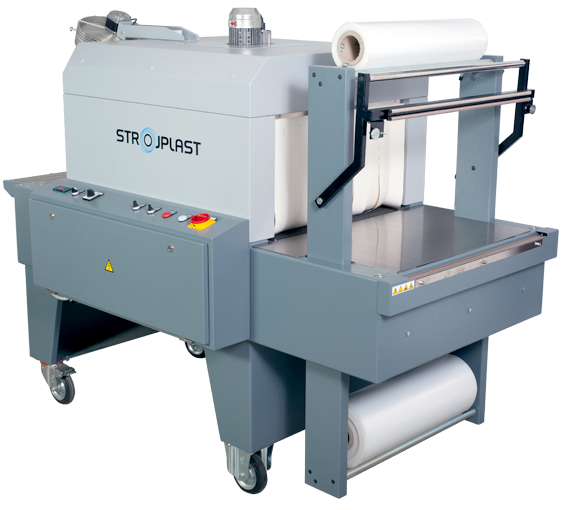 AirLess Advance line executes packaging process with speeds comparable to semi-automatic sleeve wrappers. In certain cases it performs better – packaging products on trays, packaging heavier products etc. AirLess Classic and Plus machines can be upgraded with magnet-assisted sealing bar synchronised with micro processor controlled sealing process to achieve higher packaging capacity and easier operation. AirLess Advance is standardly equipped with automatic feeding conveyor, magnet-asssited sealing bar synchronised with sealing process. It is especially convenient for packaging containers, boxes, products on trays etc.